Richard Dale Jenkins is an American actor. He is one of several Rhode Island residents who have made films for the Farrelly Brothers. He is best known for his role as Nathaniel Fisher in the TV series “Six Feet Under”. Jenkins was born and raised in DeKalb, Illinois to parents Mary Elizabeth a housewife, and Dale Stevens Jenkins, a dentist. He attended DeKalb High School. Jenkins earned a degree in drama from Illinois Wesleyan University. 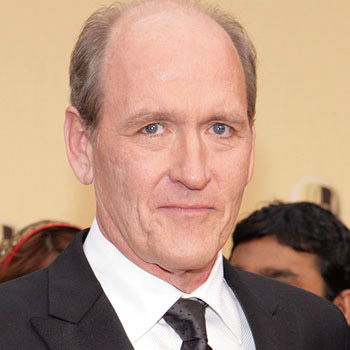 Richard Jenkins is an American actor who has a net worth of $8 million. He has Welsh, English, and German ancestry. He shares the same birth name as Richard Burton. Jenkins has been married to Sharon R. Fredrick since August 23, 1969. They have two children, a daughter Sarah Pamela and a son Andrew Dale. Jenkins has won many awards including Chlotrudis Awards, Joseph Plateau Honorary Award, Fangoria Chainsaw Awards, Silver St. George, Spotlight Award, Virtuoso Award, Satellite Award, etc. Jenkins was nominated for the Academy Award for Best Actor for The Visitor. In 2014, he and his wife Sharon received the Pell Award for Lifetime Achievement from Trinity Repertory Company in Providence. An American director, screenwriter, and producer Len Wiseman is best known for his work on popular series such as Underworld series, Live Free or Die Hard, and the 2012 film Total Recall. An American actor, composer, singer, song writer and musician. Salling rose to fame after his role in comedy television drama Glee and another sitcom The Graveyard. Ram Charan is an Indian film actor, dancer, producer, and entrepreneur, who works in Telugu cinema. He rose the fame from the role of Bhairava in the movie "Maghdheera." Will Friedle is an American actor, comedian and voice actor. He is best known for his comedic roles, most especially as the underachieving elder brother Eric Matthews on the long-running television sitcom Boy Meets World between 1993 and 2000.